Hey all! 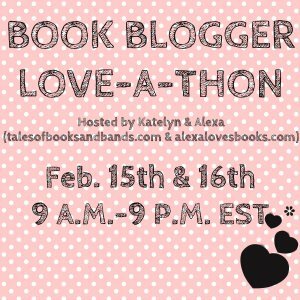 I signed up to participate in the Book Blogger Love-A-Thon, hosted by Katelyn from Tales of Books and Bands and Alexa from Alexa Loves Books. Basically this is an entire event surrounded around giving love to book bloggers out there and helping share the love. What better way to celebrate Valentine’s Day weekend, am I right? I am so excited to take some time this weekend to poke around the blogosphere giving love to the bloggers that really inspire me and finding new ones to follow! To see all the details, check out either one of their blogs or follow the hashtag #LoveAThon on Twitter. There are chats and giveaways and lots of fun to be had. Join us! Part of the fun is the mini-challenges and this is the first one! 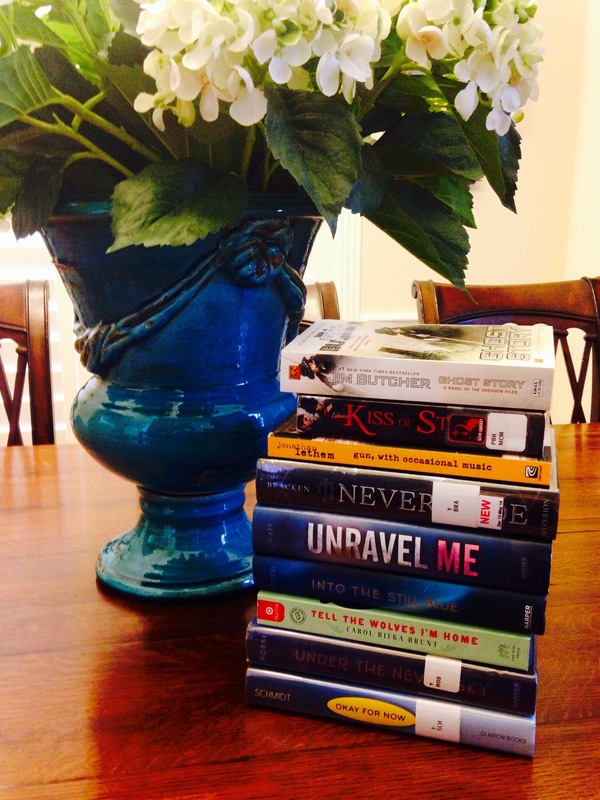 It’s time for some Book Spine Poetry! This is my first time trying my hand at this and it was actually so much fun! Unravel me, into the still blue. Tell the wolves I’m home, under the never sky.